Each fall, the Frances Lewis Law Center at Washington and Lee awards two faculty members with the Lewis Prize for Excellence in Legal Scholarship for outstanding scholarly work. Law professors Joshua Fairfield and Jilll Fraley were recognized this year for their efforts. Fairfield’s award recognizes his scholarship on the intersection of law and technology. Recently, Cambridge University Press published Fairfield’s book “Owned: Property, Privacy, and the New Digital Serfdom.” In this work, Fairfield critically evaluates the status of property rights in the digital era, revealing how we no longer truly own the various devices that power our modern lifestyle, including smartphones, TVs, and even software-enabled cars and homes. As a result, Fairfield argues that we risk becoming “digital peasants” subservient to the interests of private companies and overreaching governments. Fraley’s award recognizes her scholarship regarding numerous aspects of property law, including land use, environmental harms, law and geography, water rights, and theories of property and property rights. Fraley’s scholarship frequently draws on her training as a legal historian to shed new light on the evolution and current status of various doctrines in property law. Notably, Fraley was selected by a panel of distinguished legal scholars as the 2016 winner of the prestigious AALS Scholarly Papers Competition for her paper, “A New History of Waste Law: How a Misunderstood Doctrine Shaped Ideas About the Transformation of Law,” which was published earlier this year by the Marquette Law Review. 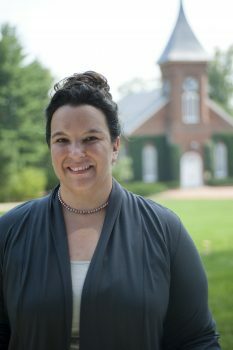 This summer, Fraley continued her work with a new paper titled “Liability for Unintentional Nuisances, or How the Restatement of Torts Almost Negligently Killed the Right to Exclude in Property Law.” The article critically analyzes the treatment of nuisance law in the Restatement (Second) of Torts, which is widely taught in law school classes and textbooks almost forty years after its release. The Frances Lewis Law Center is the independently funded faculty research and support arm of W&L Law. Established in 1978 with a generous gift from Frances and Sydney Lewis, the Law Center’s mandate is to support faculty research and scholarship that advances legal reform. The Center is directed by Professor Chris Seaman.